Unable To Connect VDP To vCenter: "login returned a response status of 204 No Content"
2018-02-08 10:04:44,849 ERROR [http-nio-8543-exec-9]-db.ApplianceStateDAO: ApplianceStateDAO.getApplianceState failed to execute ApplianceState query. 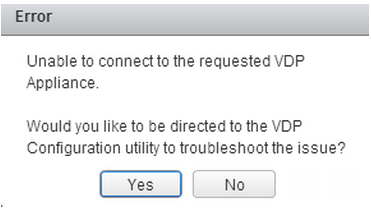 Right after it initiates Authentication, it queries the vdr database. And in this case, appliance_state, table is missing from vdrdb. 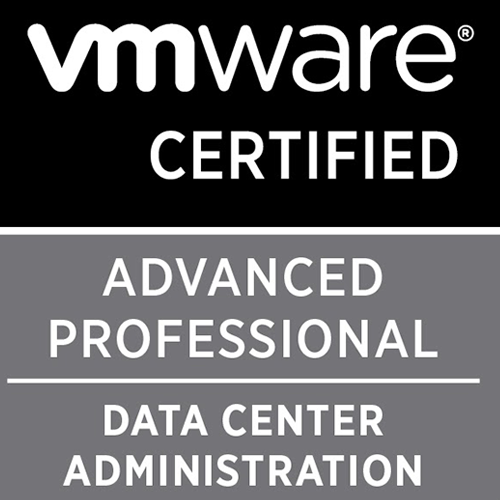 If you are missing one or more tables, the vdr service is not initialized and the connection fails. 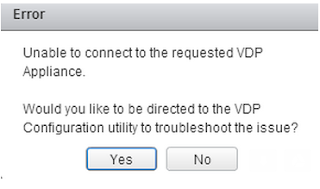 To recreate the missing tables, open a case with VMware Support. I had to fix these tables manually. If someone has a better way, I'm open for suggestions.